The Government has delivered on its manifesto commitment to extend superfast broadband to 95% of the UK by the end of 2017, DCMS Secretary of State Matt Hancock announced today. 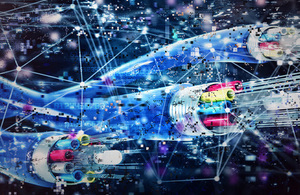 The £1.7 billion Government rollout of superfast broadband to areas deemed “not commercially viable” by industry has so far reached more than 4.5 million UK premises that would otherwise have been left in the connectivity slow lane, the majority of which are in rural areas. In addition to the huge benefits to our day-to-day lives that superfast speeds offer, this closing of the “digital divide” has also delivered a significant boost to local economies - creating around 50,000 new local jobs and generating an additional £8.9 billion in turnover in the areas covered by the Government rollout between 2013 and 2016. Over the last 5 years, the Government’s rollout of superfast broadband has made superfast speeds a reality for more than 4.5 million homes and businesses who would otherwise have missed out. We’ve delivered on our commitment to reach 95% of homes and businesses in the UK, but there’s still more to do in our work building a Britain that’s fit for the future. We’re reaching thousands more premises every single week, and the next commitment is to making affordable, reliable, high speed broadband a legal right to everyone by 2020. December was a particularly busy month for Openreach who, as the Government’s major partner on this massive infrastructure project, have been working hard throughout the winter months to ensure the rollout remained on track. In total, around 800,000 homes and businesses were reached last year through the UK Government BDUK programme alongside commercial delivery, with Openreach delivering the major proportion of this achievement; and as a result of this deployment, the 95% target was achieved in December 2017. This is without doubt an extraordinary achievement and I’d like to thank the thousands of Openreach engineers and the many more of our people supporting them, who have worked so tirelessly to make this happen. We have come a long way in a short space of time, with one of the fastest broadband deployments in the world. This is an important milestone – but we’re not stopping here. We’re determined to get Britain – the whole of Britain – hooked up to decent broadband speeds. The Government’s Universal Service Obligation will make high speed broadband a legal right and we’ll be working with industry, Government and Ofcom to deliver this. In the meantime, we’ll be continuing to expand our network to address the remaining not-spots through a combination of our own commercial programmes and our partnerships with local authorities and communities. A clause in the Government’s contracts requires suppliers to recycle funding when people take up superfast connections installed as part of the programme. Over 2.25 million homes and businesses have taken up superfast broadband in areas covered by BDUK projects. To date, BT has set aside £477 million to extend coverage over the full lifetime of the contracts – up from £292 million in December 2016 – in nations and regions around the UK. Together with other planned delivery, this will help take superfast coverage to the majority of the remaining premises over the next few years. In addition to this, the Universal Service Obligation the Government is bringing in will give everyone the legal right to high speed broadband (10Mbps or faster) by 2020, meaning that no-one is left behind, and that all UK homes and businesses have the connectivity they need in the digital age.